1st Day: Enjoy welcome drink and receive room. After enjoy a healthy dinner set menu at the Pomelo restaurant. 2nd Day: Start day with daily yoga classes then a nourishing breakfast. Take part in cooking class. In the afternoon, 60 minutes relaxation with Vietnamese cupping therapy. 3rd Day: Morning yoga session facing Perfume River. After enjoying breakfast then cycling tour to visit the village and Thuy Bieu Disable Children Education Centre. A 60 min foot acupressure session will follow then a healthy dinner will be served organic food from our garden. 4th Day: A 60 minute yoga session. New Year 2017 Package will transform you back to the old time of Vietnamese Culture. 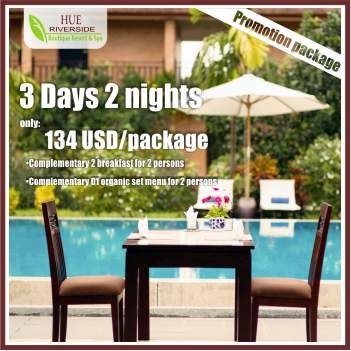 Take this chance with our exclusive offer to explore our Traditional Tet moment at The Best Eco Resort in Hue, Hue Riverside Boutique Resort & Spa. Promotion: 40% Off - Now Only: 67USD/Room/nite Inclusion - Free daily breakfast. - Free use of WIFI, swimming pool. - Free welcome fruits. 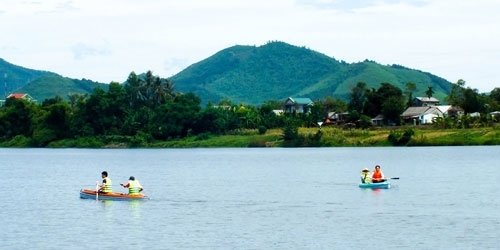 - Free shuttle boat & kayaking; cycling to Thuy Bieu Village. - 30 minutes Herb foot massage for 02 people at Perfume Spa. Deluxe Riverview Double Located in the central area of the resort, adjacent to the restaurant area, adjacent to the pool area and bar, opposite the main door of the room is the view of the pool and garden, balcony river views romantic Perfume. Rooms are equipped with flat screen TV, tea and coffee, fruit and mineral water free,a refrigerator, air conditioners, bathroom with bathtub. Rate includes breakfast. 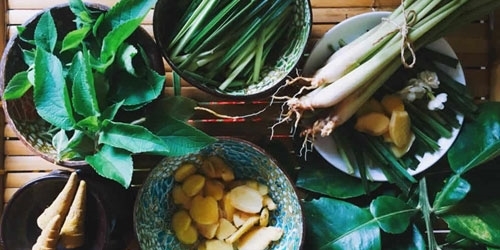 1st Day: Pick up at Phu Bai airport or Hue Train Station, after check-in relax and unwind with a romantic dinner at Pomelo Restaurant 2nd Day: Start slowly with a Cooking class. Visit the garden and collect vegetables for the dishes, afterw enjoy the lunch. 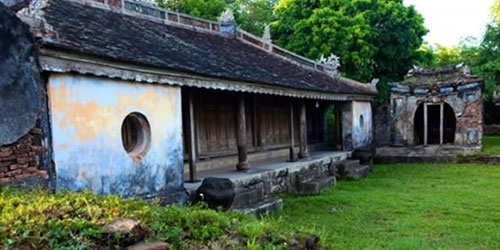 Evening explore Hue City at your leisure. 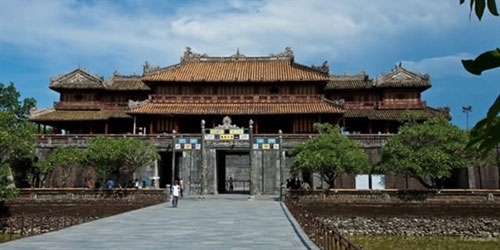 3rd Day: Visit Minh Mang tomb, Thien Mu pagoda and Citadel by boat. Then relax with a foot massage and dinner at the Pomelo restaurant. 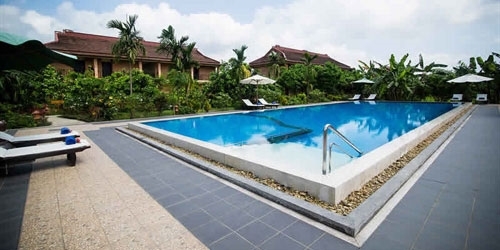 4th Day: Cycle around Thuy Bieu village or relax at the pool, trying kayaking to explore Huong perfume. We will return you to the Airport or Station.